Thomas A. “Tommy” Williams, 84, widower of Joan “Jody” Berry Williams, passed away May 1, 2018. 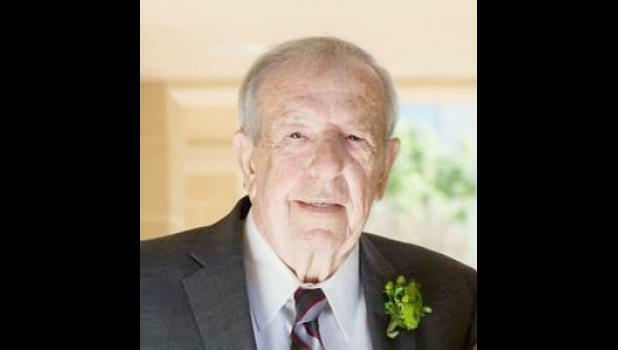 A native of Greenville County, son of the late Robert Fulton and Sarah Lloyd Williams, he was a U.S. Army Veteran, retired owner of Williams Insurance Agency and a member of Greer First Baptist Church. Surviving are two daughters, Trish Williams Proctor (David), of Lexington, and Robbin Williams Neal, of Summerville; one brother, Jim Williams, of Greenville; four grandchildren, Jessica Proctor Kritzas (Demitri), William Proctor (Dana), Layla Neal Digby (Chris), and Jason Neal; and one great-granddaughter, Stella Marie Kritzas. Mr. Williams was predeceased by two brothers, Dr. Robert Williams, and Hal Williams. Graveside services will be held at 2 p.m. Friday, May 4, 2018 at Wood Memorial Park, conducted by Dr. Doug Mize and Mrs. Dottie Bryson. Visitation will be held after the service at the cemetery. Special thanks to our family, friends and neighbors who provided extra love and care as dad’s health started to decline, especially Kevin Gibson. In lieu of flowers, memorials may be made to Greer First Baptist Church, 202 W. Poinsett St., Greer, SC 29650 or the charity of one’s choice.